As I once wrote on your "studying narcissus" former post, you may retrieve the white flower fantasy in the narcissus absolute buy applying it on fabric. Somehow it smells of flowers when I spray ten times of "fleurs de narcisse" (l'artisan parfumeur) on T-shirt or sleeves and wait for 2 hours. Hopefully, despite the waste, the feeling of manyfold white flower last for days. Else, this perfume is a bit dull, in a tabacco masculine and vinegar herbaceous sort of way. 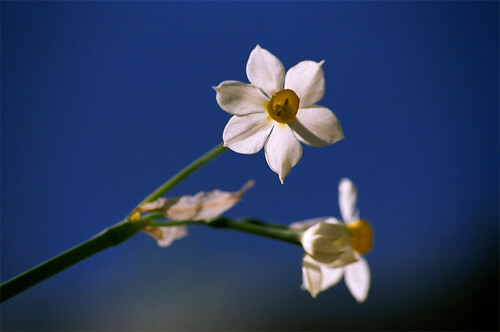 The "monique Rémy" absolute is made of narcissus flower harvested mechanically with the stem. I thing it somehow enhanced the green facet of the thing. Nice artical great contant to be read in the entire artical got expand knowledge in this regarding feald tobe apply in my antird thinking.